Thanks to the central location you will have an ideal starting point for beautiful walks and mountain excursions in summer, as well as for enjoyable ski days and snow walks in winter. 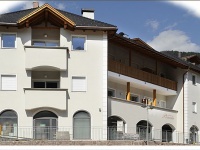 The apartment house Pizuela is located in the centre of S. Cristina in the Gardena Valley in South Tyrol. 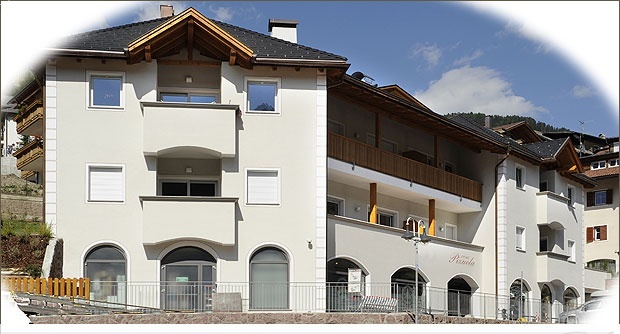 Within a distance of 150 meter you will find some banks (Raiffeisen, BTB, Cassa di Risparmio), pharmacy, post office, the ascent installation to the Monte Pana, the connection to the Sella Ronda, the bus and taxi stop, a grocery and diverse restaurants and pizzerias.